The HTML5 web-based 3DViewStation WebViewer enables fast and convenient configurations to be viewed on mobile devices like Windows tablets. 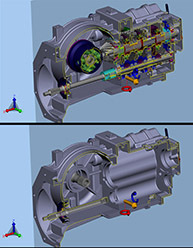 This image demonstrates how easily 3DViewStation can be integrated with a CIM database. 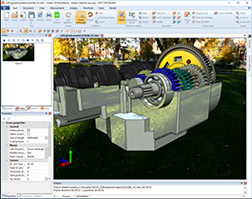 This screen shot of 3DViewStation Desktop displays a typical screen and filter applied to the design. Color code to update status or request approval. Extract faces of solids for more thorough review and comment. With 350,000 million polygons this Boeing 777 proved the most complex design to test the demands of 3DViewStation. The web-based 3DViewStation will feature more menu ribbons, giving it a user interface similar to Office applications and 3DViewStation Desktop. Vector-based icons are now scalable and come in three colors. 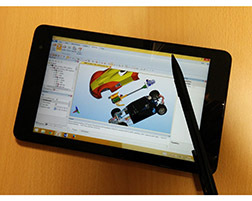 Effortlessly compare sections and dimensions on either iPad or Android mobile devices. Developers are currently working to implement graphical effects for various materials. Anticipate enhanced renderings as background images appear as reflections. 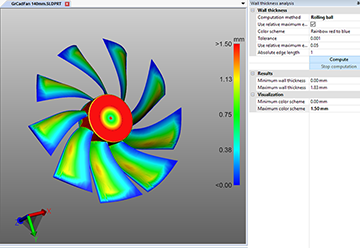 Rolling ball method and sections of selections support wall thickness measurements and analysis and the displays results with heat map technology. Graduated colors reflect calculation results. 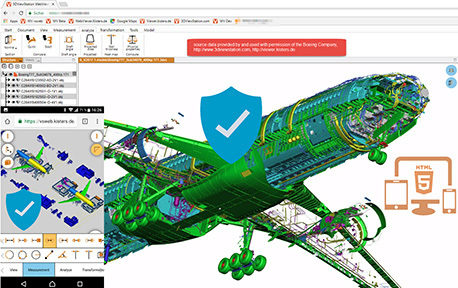 The latest release of 3DViewStation increases IP security by hiding internal parts, but not at the expense of hindering product lifecycle management. 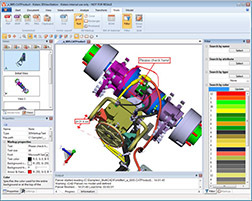 All visible CAD data can be color coded, rotated and redacted as needed. 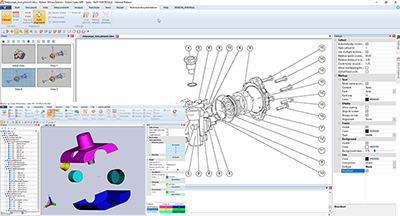 Advanced analysis of mechanical data includes improved presentation of results when a clash is detected. 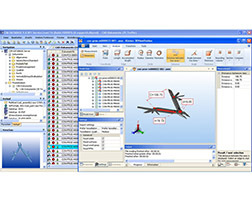 Reduce the risk of human error during model inspections. 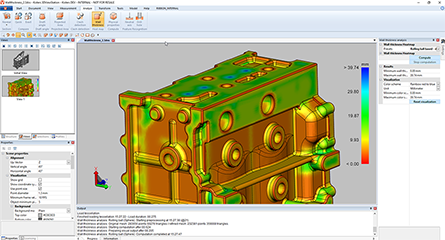 Advanced wall thickness analysis results in color code objects and an easy-to-decipher color key. In addition, it's so fast it provides real-time measurement. 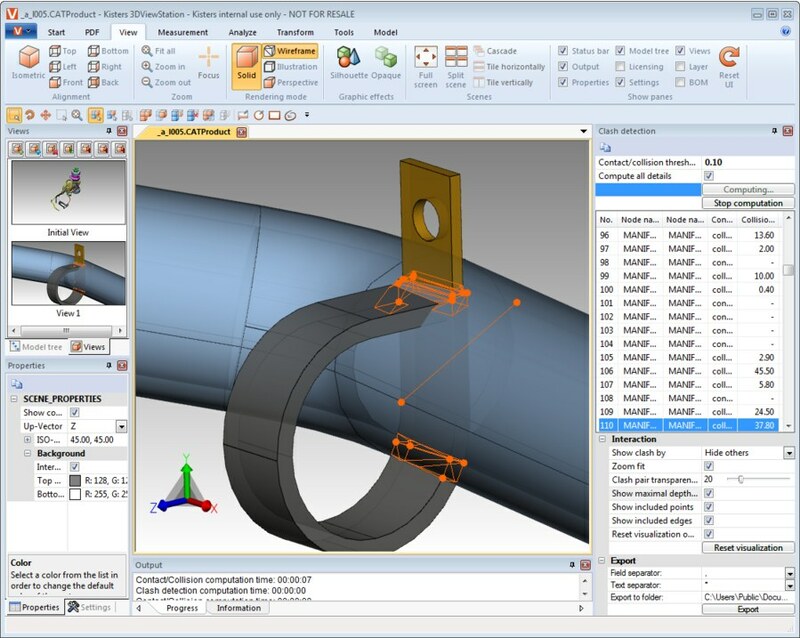 Unique piping object analysis and measurement functionalities include a neutral axis calculation with several advanced options. 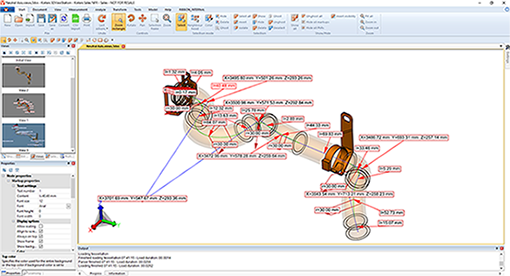 Bill of Materials BOM IDs and balloon callouts effectively repurpose CAD data for technical documentation such as online manuals and parts catalogs.